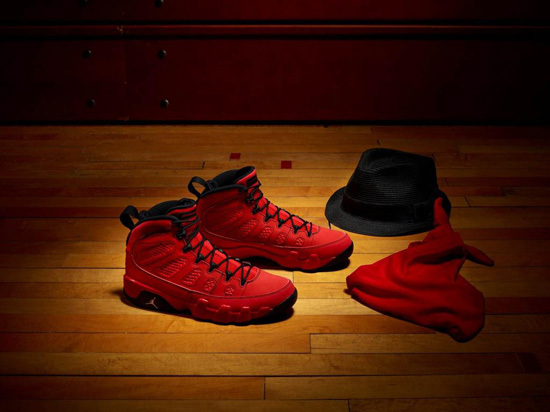 ajordanxi Your #1 Source For Sneaker Release Dates: Air Jordan 9 Retro "Motorboat Jones"
The final Air Jordan IX Retro colorway of the "Alter Egos" Pack set to release. This is the "Motorboat Jones" edition. Click here to grab a pair on eBay. This colorway features a red-based upper with black accents. 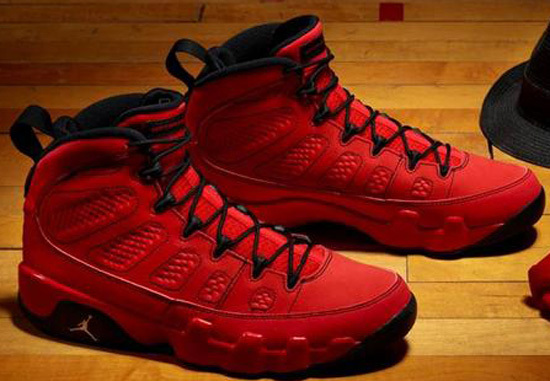 "Motorboat Jones" is found on the tongue tag replacing the usual "Air Jordan" written there. The faux "Bandits" team logo is stitched on the back of the tongue. This is the last of the six colorways set to release in the "Alter Egos" Pack. They will be a limited release available at select Jordan Brand accounts like previous releases on Saturday, December 1st. Retail is $160. Enjoy the new look at these and if you're looking to grab a pair, there are a few pairs floating around now. Click here to grab a pair early on eBay.